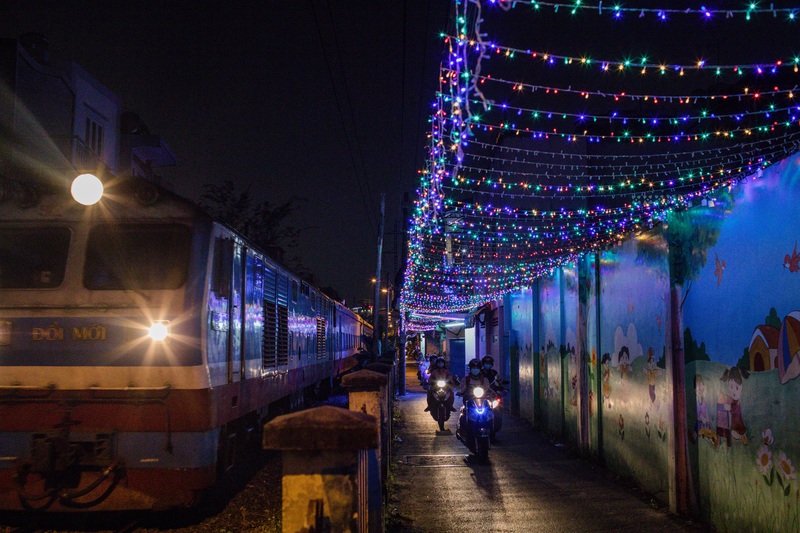 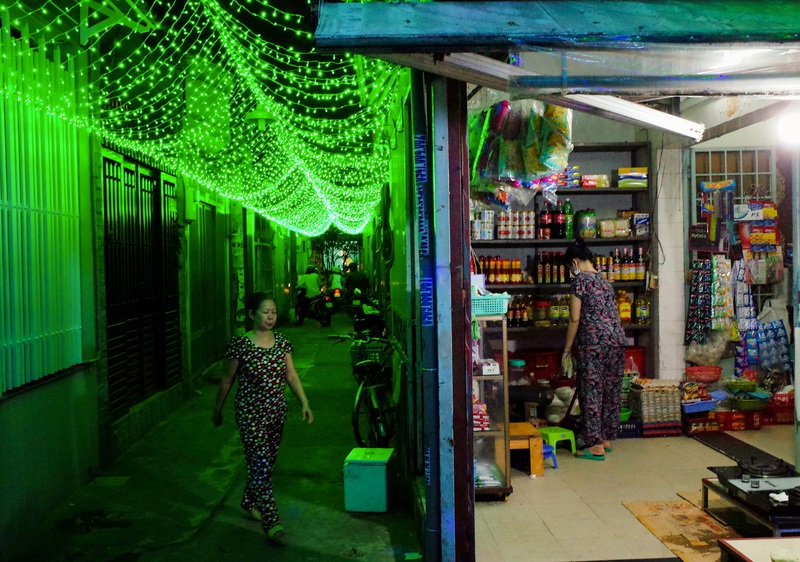 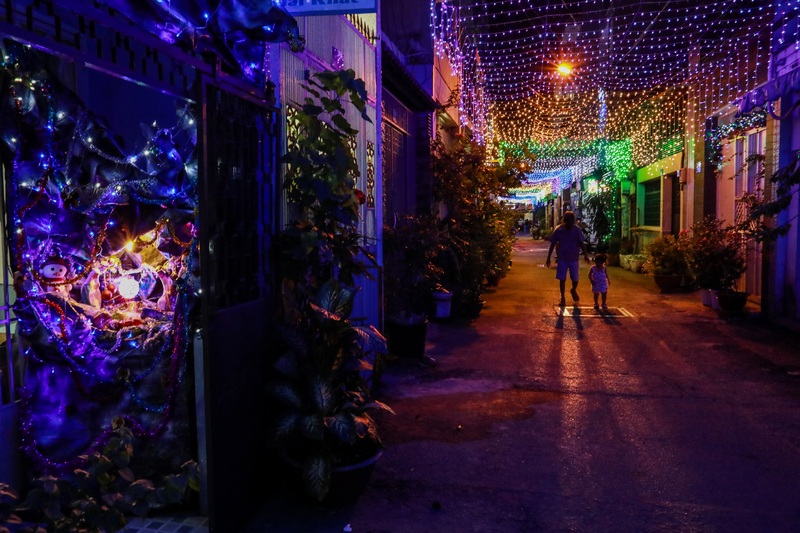 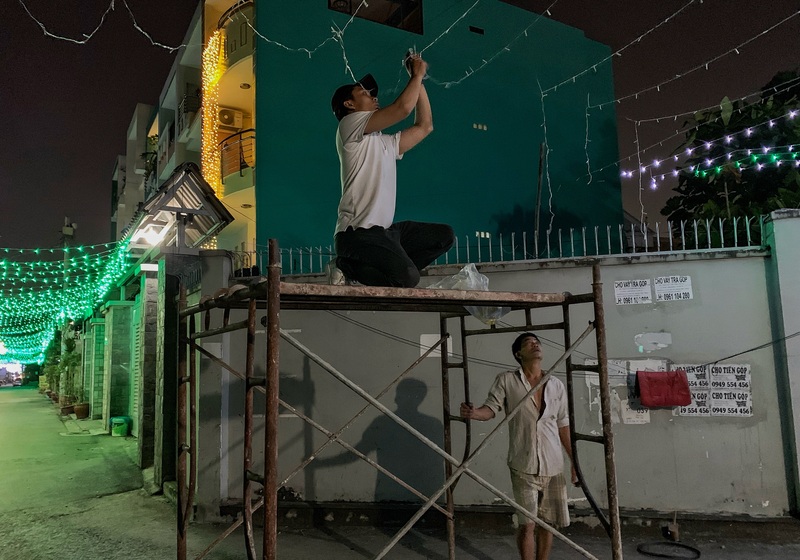 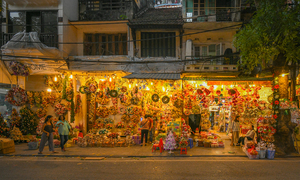 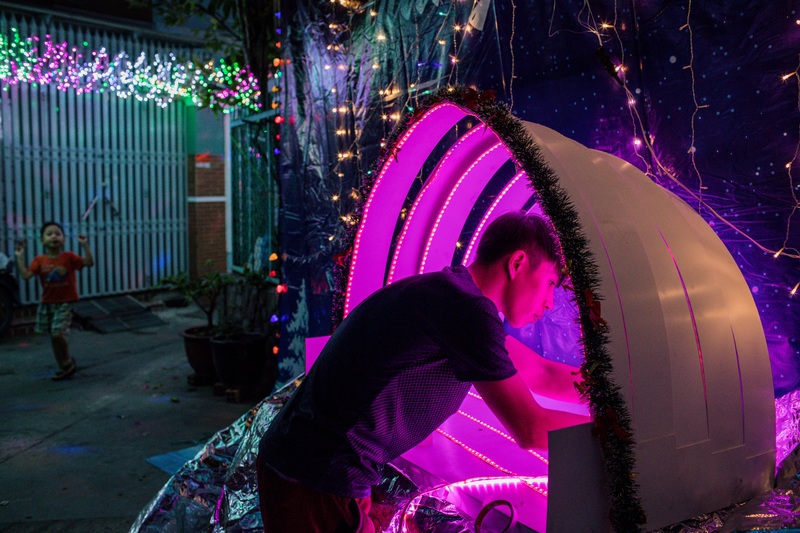 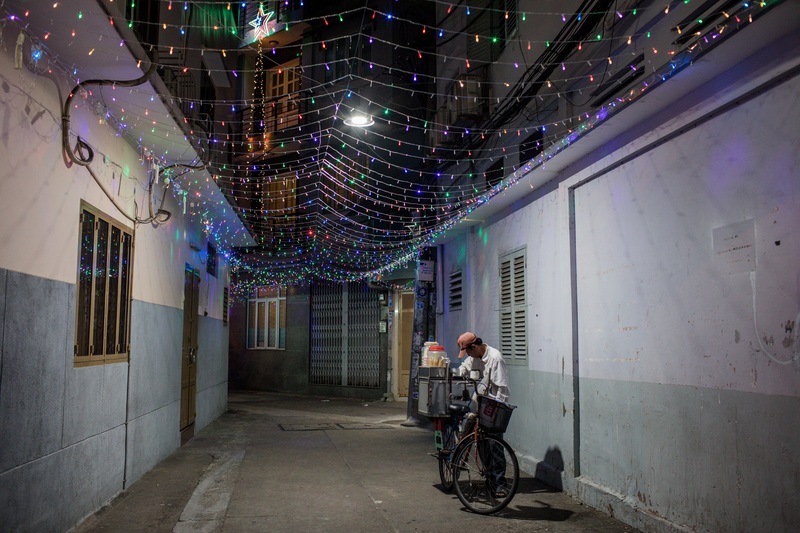 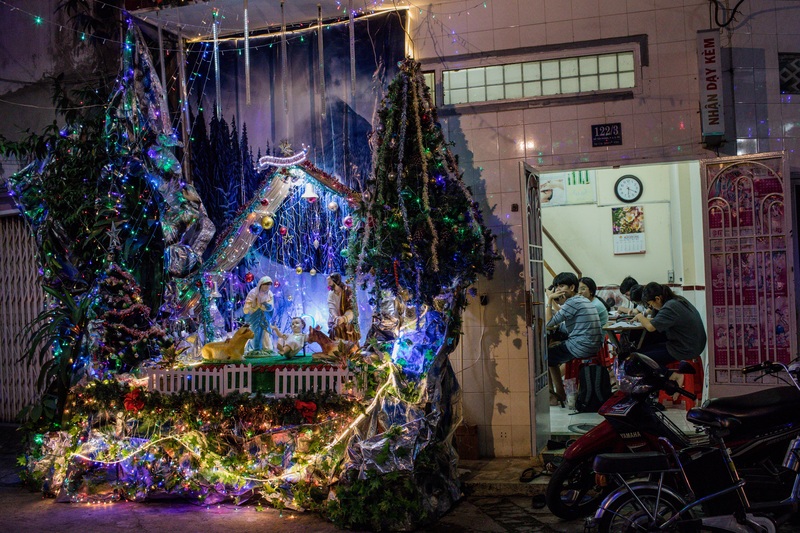 On Christmas Eve, Saigon's alleys are festooned with colorful lights to commemorate the birth of Jesus. 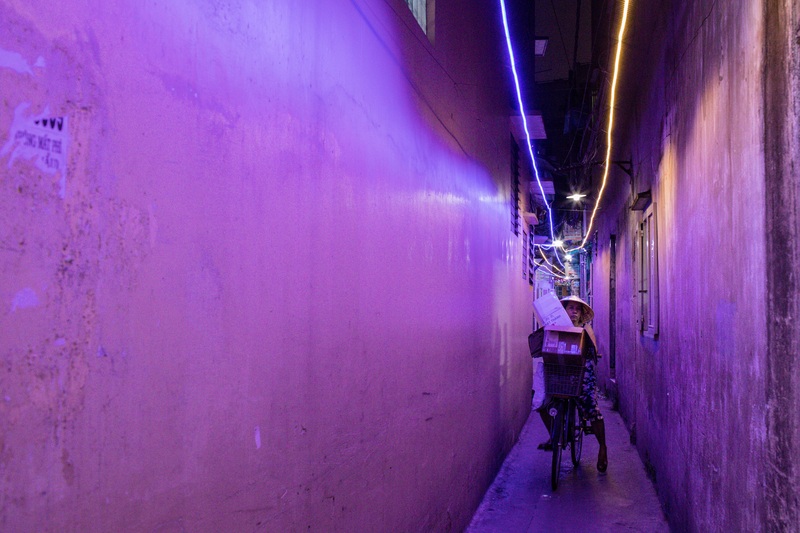 Alleys are the veins of urban life in most cities, and Saigon is no exception. 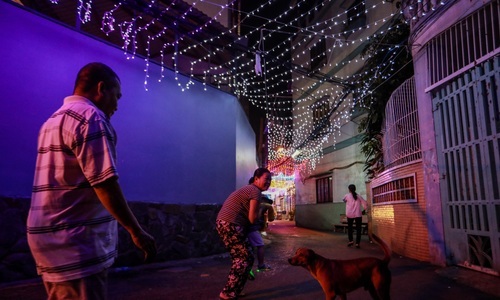 They are places where close-knit bonds bind neighborhoods; places that are home to the best street food; places that hide the best cafes; and places that generate vibrant street art. 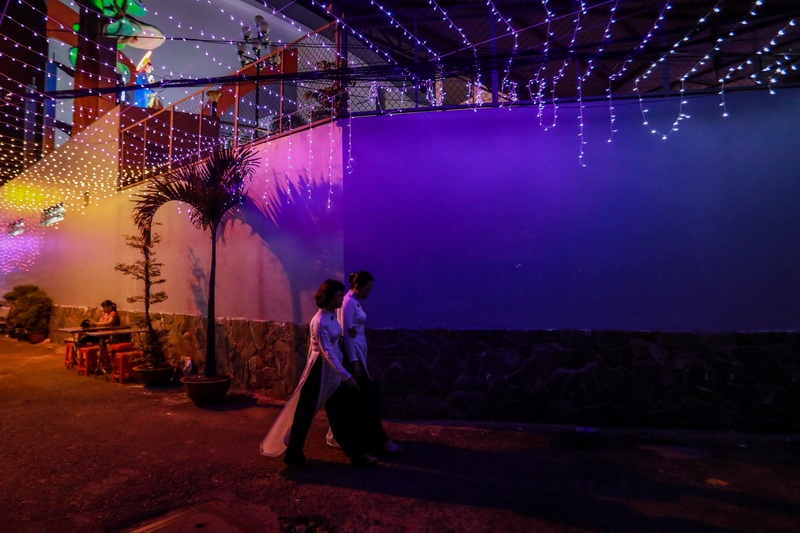 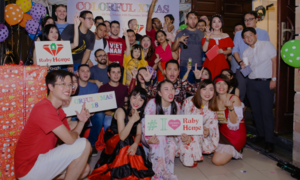 And beyond the mainstream glitter of shopping malls and imposing churches, the festivity of a Christmas season seeps into the alleys of "Christian hamlets", imparting a glow all their own. 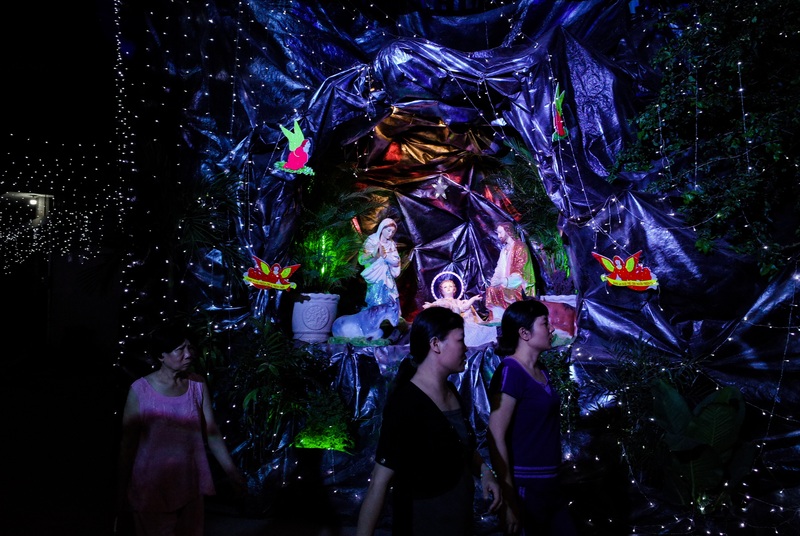 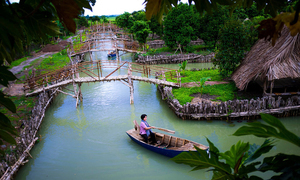 As the country’s biggest archdiocese, Ho Chi Minh City is home to nearly 700,000 Christians. 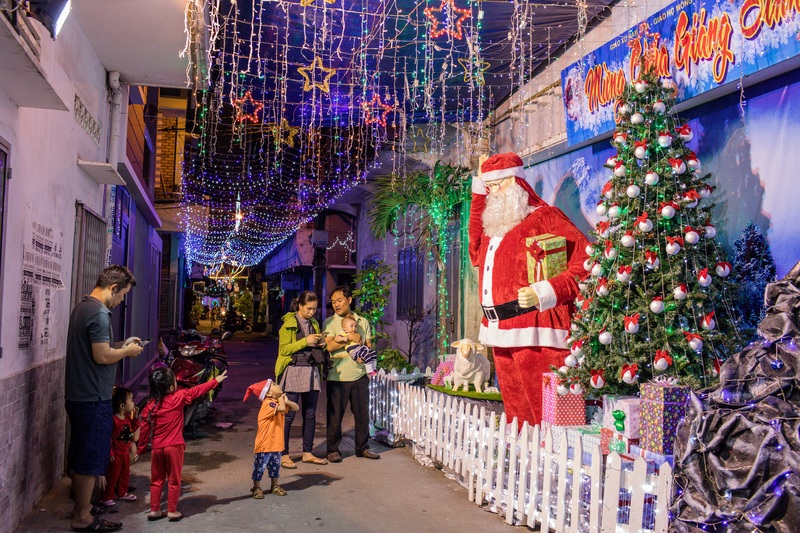 And the community goes to town to ensure that this time of the year remains magical and sparkling.